This vanity is built from solid cherry wood. Top is soapstone, with copper sinks. It is scribed into drywall partitions on both sides, distance between partitions is 77-1/2". The top is 22" deep, backsplash to the front edge; 34" above finished floor. 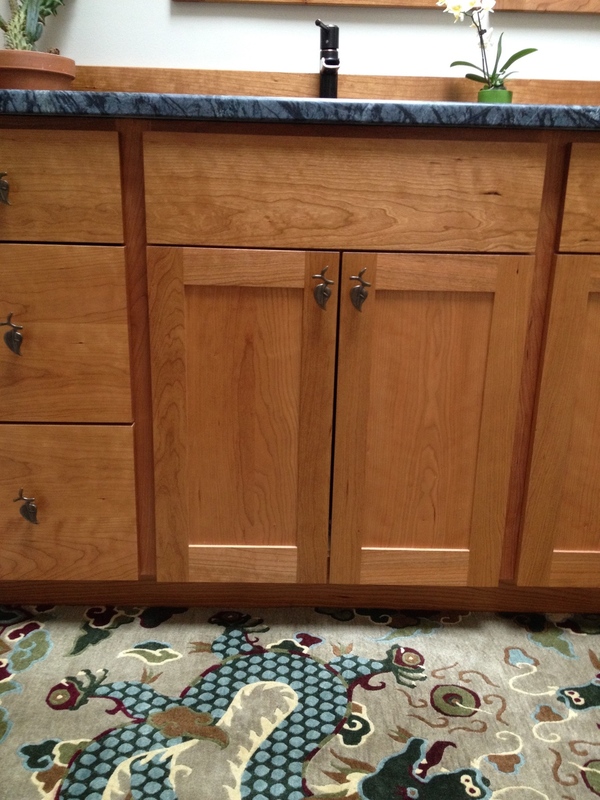 Door panels are solid cherry. 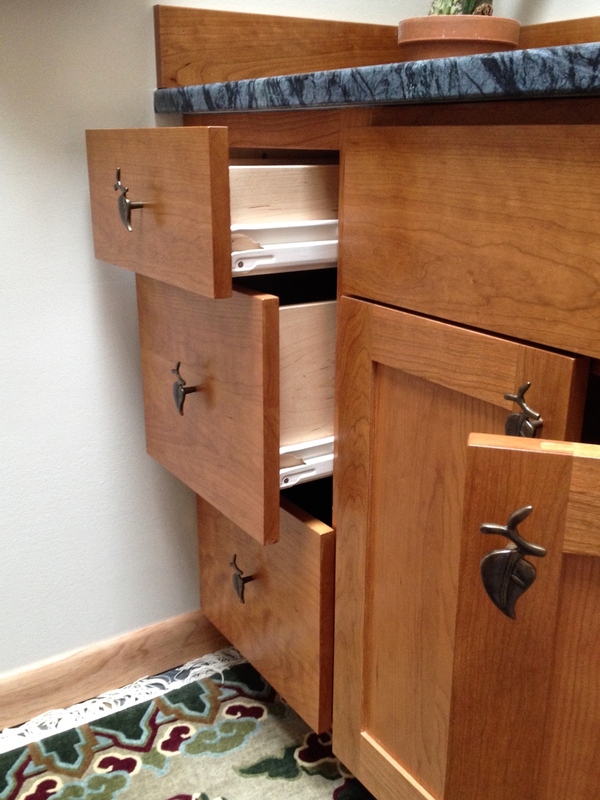 Drawers are 18" long, hung on Blum full extension slides. Doors are hung on Blum soft-close European style hinges. 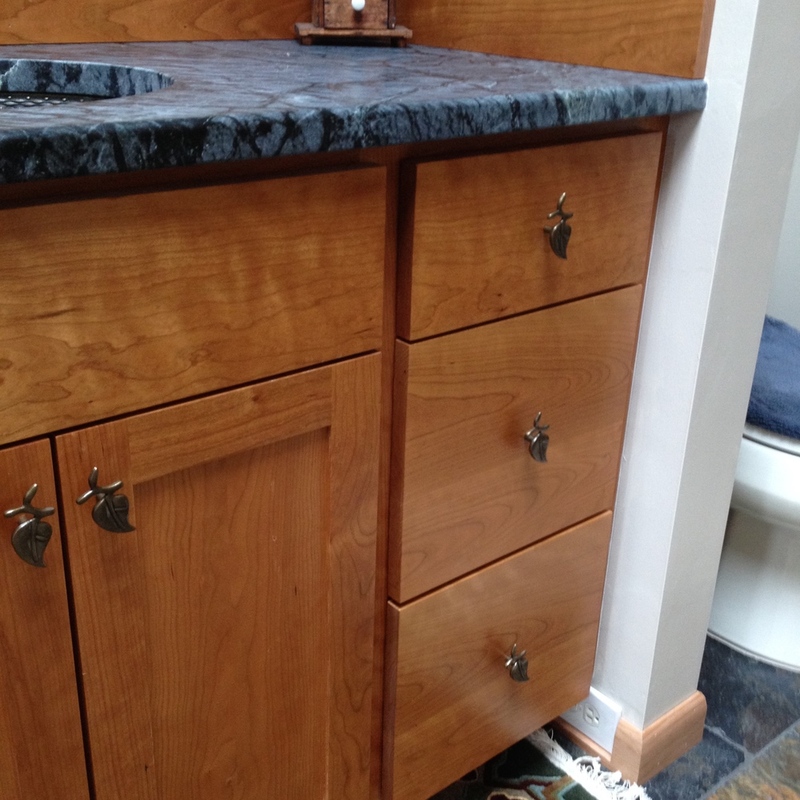 Finish is urethane- tung oil- based varnish, over epoxy sealer, to withstand bathroom moisture.